Local Indivisibles help flip PA-18! Indivisible Mt. Lebanon and Progress 18 PA, with their coalition partners PA Together, shocked the political world by pulling off an incredible victory in PA-18! Democrat Conor Lamb won the special election on Tuesday with just 627 votes in a district that went for Trump by 19 points in 2016. And IndivisiVolunteers helped make a difference: 1,556 national volunteers completed 2,917 text-banking shifts during the last two weeks of the election. All together, they sent 108,828 texts to voters in the district! A progressive organization put out a call for community meetings after the 2016 election and I decided to host one and expected maybe five people to show — but over 25 people attended (one person had just seen a sign and walked in from the street!). We left the meeting fired up, and during our second meeting, someone stood up with the Indivisible guide, and said, ‘we should follow this!’ And it answered so many of the questions we had and focused our activism toward our local congressman, former Rep. Tim Murphy (R-PA). Mondays with Murphy became a feature or our organizing work during the battle to save the Affordable Care Act, and it was a personal battle for me. I was born in 1983 with a congenital heart disease and have had four open heart surgeries — I knew I had a moral obligation to protect other children born with congenital heart defects whose lives the ACA benefits and protects. After we saved the ACA, Rep. Murphy announced he would resign from Congress. 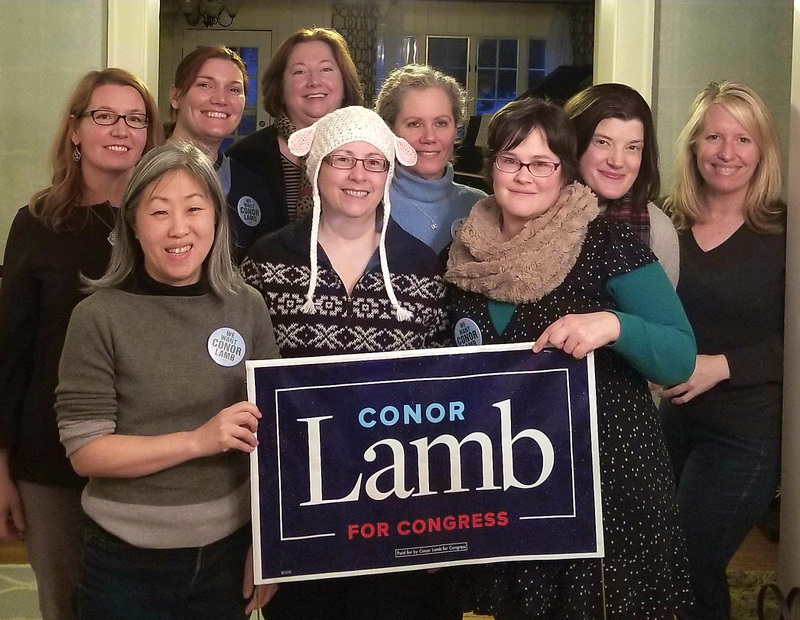 We quickly mobilized and worked to elect Conor Lamb since November. Since PA-18 is so large, we set up canvassing stations all around the district in a ton of neighborhoods. And all this effort paid off — Conor won with just 627 votes! Our group is elated with Conor’s victory, all of our work since early 2017 has paid off. And with the new congressional map for our state, we know we can elect even more progressives to Congress in November! When people tell you something is impossible, just ignore them — believe in the impossible and never give up. The fact I’m alive should be impossible, so I’ve always believed in the impossible. People said it couldn’t be won (Democrats didn’t even field a candidate in PA-18 in 2014 and 2016), but we made it happen! This week’s victory should prove to you and every American if they put in the work and put up a fight, any district is winnable! So if you haven’t yet, pick up a clipboard, your phone, and get to work! District-by-district, state-by-state, we are building the big blue wave that’ll sweep progressives into office all across the country in November.